The S-92® helicopter fleet has surpassed one million flight hours. 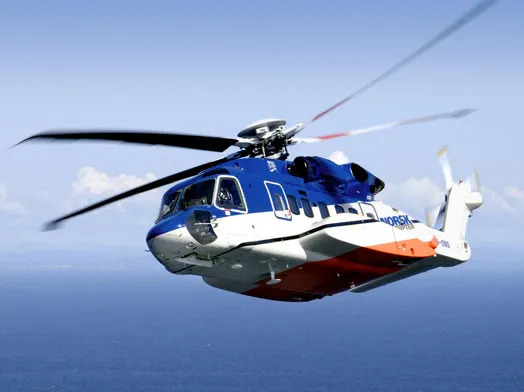 Along with accomplishing this in an impressively short time of less than 12 years, the S-92 helicopter also asserts a best-in-class safety record with an accident rate of 0.20, which is 1/10th the U.S. Civil Multi-Turbine engine helicopter rate. The S-92 helicopter program has received the Collier Trophy and AHS International awards, flies in more than 25 countries and transports 11 Heads of State. The platform has been selected to perform the most advanced executive transportation mission in the world – carrying the U.S. president. It also has completed more than 91,000 search and rescue missions, saving many lives. The S-92 helicopter has made great advancements and contributions to the industry with innovations such as Rig Approach™ and its advanced use of HUMS. This million-hour accomplishment is because of you and the work you do every day in assuring quality during build and excellence in support to our customers to keep them flying. This is a milestone that we want to celebrate with all our employees, customers, operators, suppliers and helicopter enthusiasts. We have built a “Thanks a Million” campaign to communicate our appreciation and thank everyone who has contributed to the achievement. Please visit MySikorsky and the new S-92 product page for updates, features, and customer news throughout the year. I am proud, humbled and honored to be part of this Sikorsky team – the team that engineered safety into the core of the S-92, the team that builds the aircraft with the greatest degree of quality, and the team that continues to promote and sell this amazing product.